In the past twelve months, this has included my time in China, India and currently New Zealand. In China one can easily purchase a new phone, a SIM card with a local number and fifteen days of International texting or calling for $30. India was at one point offering visitors free SIM cards on arrival at Delhi’s International airport. Today mobile phone outlets are visible immediately in the arrivals areas of most International terminals. This evolution of communication technology allows instant contact with family or workplaces back home, and at a fraction of the cost from decades ago. Long gone are the days of being presented with $ 100 phone bills at hotel check-outs for eight-minute calls, an unpleasant surprise that I still remember today. Since leaving home 2 ½ weeks ago, I have communicated by words and or images by email, Blog, Facebook, Instagram, text and mobile phone call all for $40, and my mobile plan is still far from depleted. Despite my savings and instant connectivity, I admit to being nostalgic for the pre-digital connection of yesteryear. In 1985 – 1986 I spent fifteen months travelling through the South Pacific and Asia. My options for calling home were limited by budget. However, open to myself and any other traveler was the option of having mail sent to me c/o any overseas American Express Office. On arrival in Papeete I could receive the first collection of letters, write to anyone who might engage in mail conversations, and provide the address of the American Express office in Auckland, my next port of call. Then Sydney, Cairns, Singapore, Jakarta, Bangkok and everywhere American Express had a presence along my journey. I suspect that American Express knew there could be additional patronage of their products including credit cards, travellers’ cheques, travel insurance, and other journey-related services. I did not have a credit card issued by them, although I did carry their travellers’ cheques as a widely accepted and safe form of liquid cash. I believe it was on purchase of these cheques that I received the list of overseas offices. According to Wikipedia, American Express was a pioneer in assisting travelers since the late 1800’s (https://en.wikipedia.org/wiki/American_Express). In addition to letters of credit, the British government appointed American Express its official agent at the beginning of World War I to deliver letters, money and relief parcels to British prisoners of war in six countries with POW camps. With the infrastructure in place at the end of the war and the dawn of commercial aviation, they filled a need in agency, financial and mail services globally. The company still allows mail delivery to any of it’s offices for current credit card holders. The joy of receiving mail on arrival in a new place was uplifting. I would grab the pile of letters and head to a nearby square or café to read the correspondence. Even the most mundane of communication – weather – weekly activities of a routine nature were absorbed with interest and emotion. And then, of course, were the events out of the norm like new pregnancies in a cousin’s family, or a successful graduation of a younger sibling that invoked more marked impressions and a small twinge of guilt for being too far from home to join in the celebration. If I replied, or sent mail to others, the likelihood of receiving mail down the road was increased. I wrote about intriguing cultural rituals, of adventurous escapades and novel experiences that would find interest with the home audience. 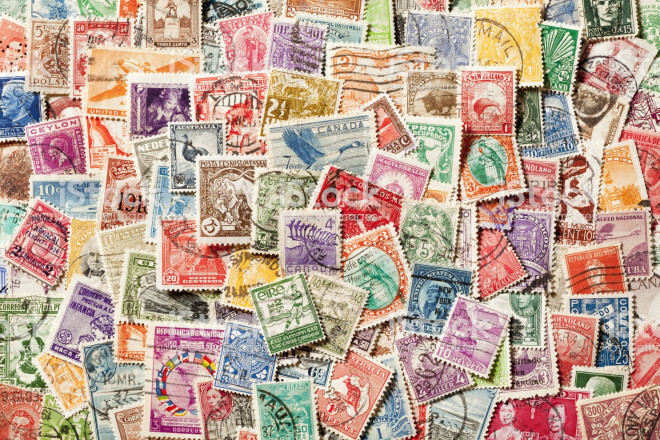 There is something special about receiving mail this way, even today – complete with a colourful stamp and a postmark tracking the journey of the letter. So despite the immediacy and convenience of new communication technologies, be sure to remember the specialness of a personal letter in one’s mailbox.